Congratulations to our 2018 Distinguished Graduate, John Ketcham, Class of 2005! 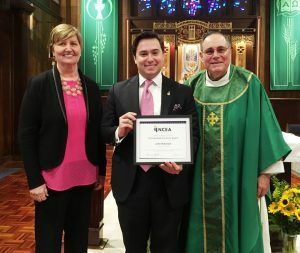 John Ketcham, Class of 2005 was honored at our Catholic Schools Week opening mass. Congratulations John!